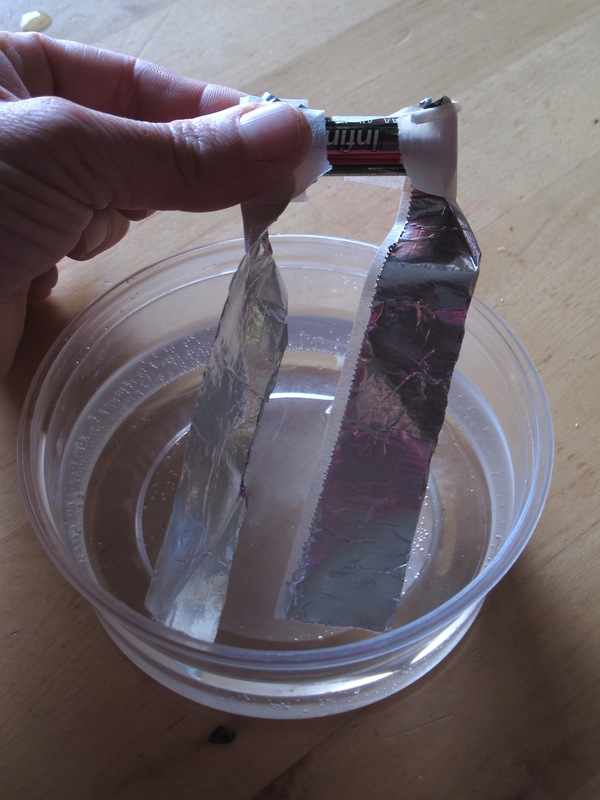 Make circuits that include a salt solution, to generate gas at the electrodes. Add a couple of teaspoons of salt to a tub of water and stir to make a solution. Using the home-made wires from the Electric circuits activity, tape one end of each wire to the batter and dip the other end of each wire into the salted solution. Make sure the wires are not touching (which would make a short circuit that bypasses the salt solution). Watch for bubbles coming from the wires that are in the water (called electrodes). 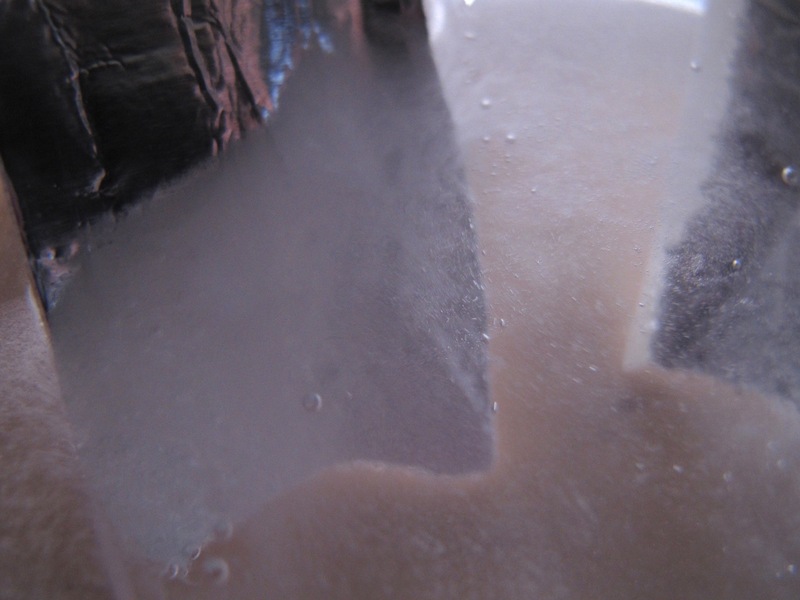 The salted water allows electricity to pass, and bubbles of gas are produced at each terminal: hydrogen and chlorine. At one electrode hydrogen gas is produced as the H+ ions in water gain an electron from the electrode, join together to form H2 molecules. At the other electrode, chlorine gas is produced as Cl- ions give an electron to the electrode, join together and form Cl2 molecules. The amounts of chlorine are similar to the amount released by a bottle of bleach: too small to be harmful if not contained, but do not let students enclose the gas or smell large amounts of it. Collet the hydrogen gas over water, ad make a pop. 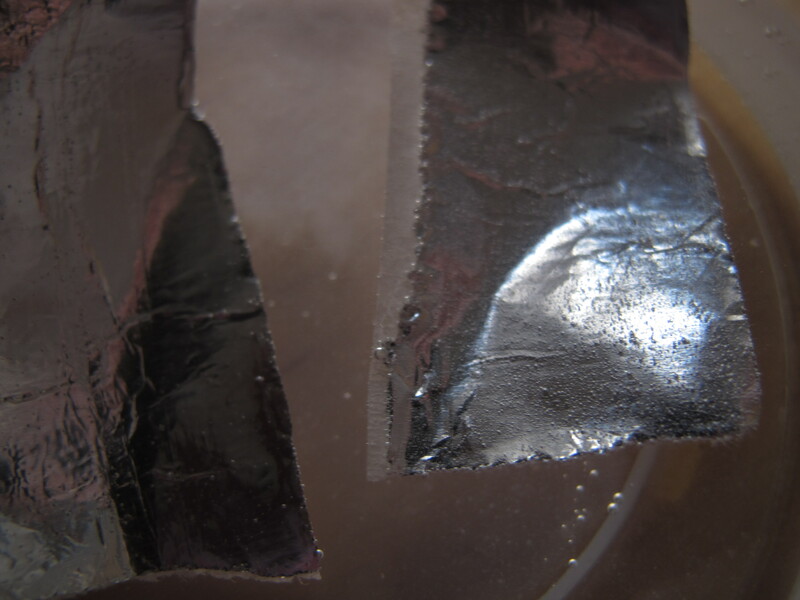 Electrolysis of salt solution or water produces OH- ions. Can the pH change of the solution be measured?